Creddy Online • View topic - Creddy Online PVP-Z 130 Cap / 14 Degree Update! Post subject: Creddy Online PVP-Z 130 Cap / 14 Degree Update! 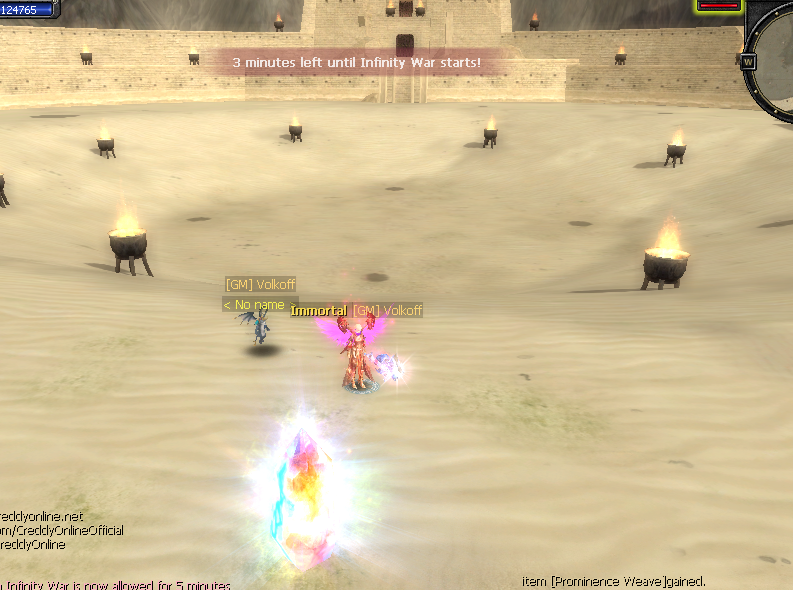 Dear Players, Welcome to long-awaited Creddy PVP-Z Update! We've prepared a huge update for you guys, hoping you will enjoy it, as much as we did working on it! Completely rewriting our filter's codebase, fixing lag. Completely rewriting our event's codes, making them more more stable and fun. Reviving the economy, supported with many points that we are going to explain below. Bringing HWID limit, getting rid of "goldbots" and many problems they brought. Reworking the Academy System, creating a much more PVP server-oriented academy system. Reworking the server basics, such as weapons that are sold, gained by quests and upgraded. Level Cap is updated to 130. All previous leveling quests are removed. You can level up to 129 by killing monsters normally. 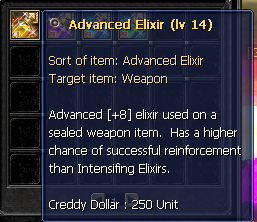 For 129 -> 130, you will need a special scroll. All masteries & skills are updated to 130 Cap. 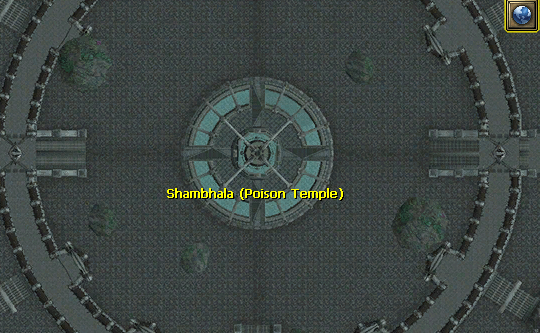 130 Level monsters and Shambhala map. You can level up in these new maps. The 13D Moon → 14D Moon Scrolls can also be gathered from the quests at these maps. 14 Degree Items. 14 Degree Items can only be SOM or SUN. Like previous cap updates, these items can be gethered by upgrading 13D Moon/Suns. 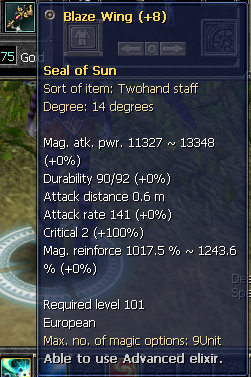 Sun Upgrade Scrolls in Item Mall. Moon Upgrade Scrolls are gathered by quests. 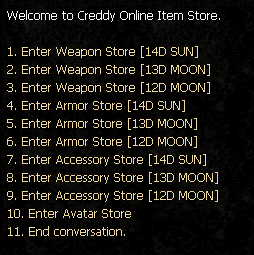 - ALL kinds of 12 Degree Moon Items (Weapon, Protector, Accessory) are now at Item Shop, sold for 1 gold. This means all 12D Moons are now free. 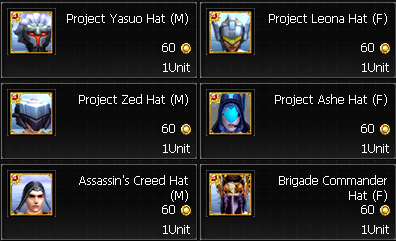 - ALL kinds of 13 Degree Moon Items (Weapon, Protector, Accessory) are now at Item Shop, sold for Alexandria Coins, Jupiter Coins, Egy. Livres. 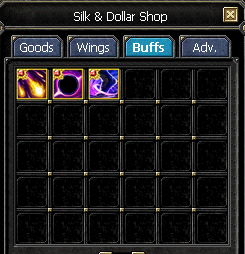 You may get 13D Moon protectors with Alexandria Coins, which you can get from Holy Water Temple uniques. 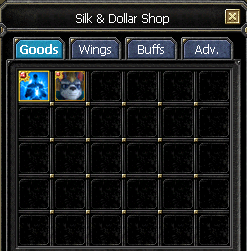 You may get 13D Moon accessories with Jupiter Coins, which you can get from Jupiter Uniques. Please note that these are the old coins we used at the server, just reworked. The previous coins that existed in the server will be REMOVED. For the new system, you must drop these coins again. 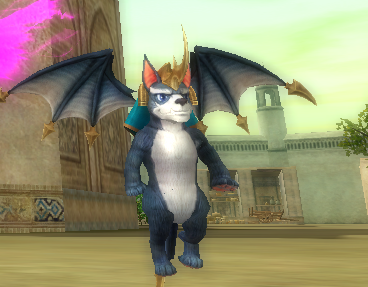 - ALL kinds of 14 Degree Moon Items can be gathered by upgrading them from 13D Moons. These upgrade scrolls can be gathered by completing few quests. For quests, check Creddy Quest Manager. - ALL kinds of 14 Degree Sun Items can be gathered by upgrading them from 13D Suns, which you can get from Item Mall. 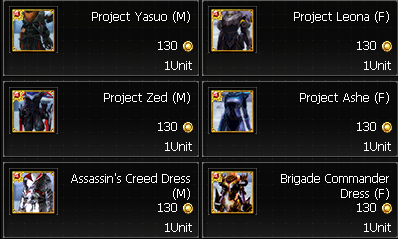 Since we're reworking the Itemization system, there are no longer 11D Items for sale. If you want a SUN weapon from scratch, you don't need to buy a 11D Egy. B, Upgrade it 11→12→13→14. You can now directly buy 14D SUNs from Item Shop! Are you a donator who wants to make some gold by Selling CP? Are you a non-donator who wants to make some CP by spending gold? 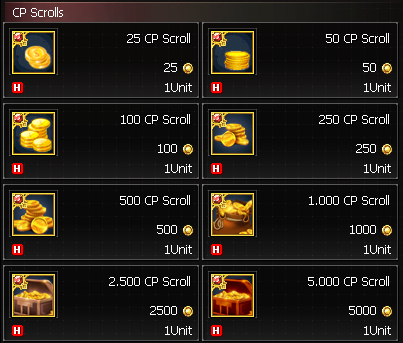 Fear not, CP Scrolls are here. With wide spectrum of these CP Scrolls, we want your exchanges/sales to be safe and not open to scamms. You can no longer earn CP from server's events, such as Survival Arena, Drunk, Maze. We're sorry for that, but we're replacing it with a much nostalgic currency: Creddy Dollars! We have reworked the Rewards system. 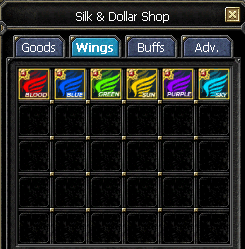 You can now see your Creddy Dollars in Item Mall window. You can earn 50 Creddy Dollars if you win Survival Arena, 30 Creddy Dollars if you win Drunk & Maze. Addition to that, each and every kill at CTF will you give you 10 Cents. You can merge these 10 Cents at Event So-Ok and earn 1 Creddy Dollar. Uniques like Ahmed, Hamdy also drop few Dollars. Snowman event is gone for now, but might comeback someday. You can get various items that are Creddy Dollar exclusive. 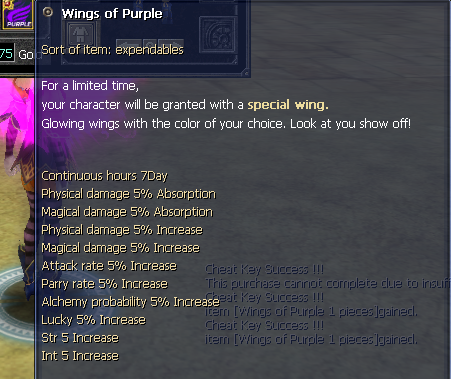 You can get brand-new wings! You can get this cute new pet and 129 → 130 Level Up scroll! 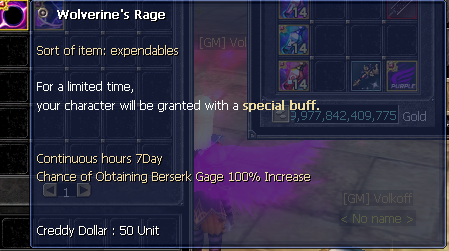 You can get special new buffs! Infinity War is our new event, which is pretty similiar to Survival Arena. Infinity War is special because it is going to replace the Academy System completely! Some of our older players might (some who have over 5k graduates...) Might be upset with this, however let's face it: The original Academy system has ABSOLUTELY no place in a PVP Server. In Infinity War, everyone is teamless. People use Event Cape (formerly Survival Arena Cape) to enter and kill each other. Killing the same is person is maximized at 2. This means, If you kill some more than 2 times, it will still count as 2. After each Infinity War event, the Infinity Rank is updated. You may check this ranking at Storages. Like the old Honor System, players will get buffs according to their ranking. The buffs are updated after every Infinity War occurance. People that are ranked between 1~5, will get all 4 buffs: King Buff, Gold Buff, Silver Buff & Bronze Buff. People that are ranked between 5~15, will get 3 buffs: Gold Buff, Silver Buff & Bronze Buff. People that are ranked between 15~30 will get 2 buffs: Silver Buff & Bronze Buff. People that are ranked between 30~50 will get 1 buff: Bronze Buff. Chinese characters are a little weak compared to EUs, don't you think? We're giving a helping hand. 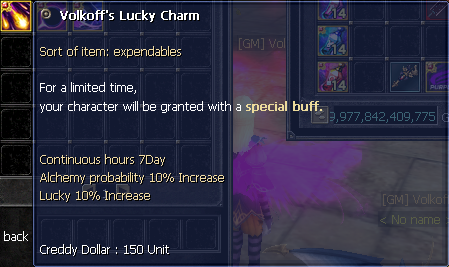 We might adjust the values of this buff later, if we see fit. Start is level now 101. Pretty straightforward, people've been requesting this forever. With removal of the original academy system, we can finally do this. The new characters you create will start as Level 101. 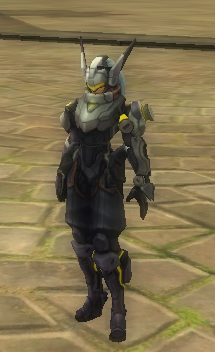 All characters who are below level 101 will also become level 101. Gambler has set his sail to overseas for now, but might come back some day. Even though our new filter can hold up to 1.5k players EASILY without any lag, we're still bringing HWID Limit. This is our biggest step in fighting Goldbots. This means you can no longer start the game as clientless. If you wish to login clientlessly, you must login with a client first. We thought making HWID Limit as 3 for start. This configuration maybe changed in time, if we see fit. Love League of Legends? Frankly, we do too. And there are much more stability changes, in-game features that we forgot to mention. You'll be able to explore all these changes not very far from now: Tomorrow our update will be applied. PVP-Z will 130 Cap Update will be applied at 19.08 - 14:00 Server Time. The updating process will probably take a few hours. You will be able to update your Clients through Launcher. We'll also release a full new client for those who want. The first 2 days of the update will be experimental. This means there might be some bugs & changes. In this 2 days please help us by reporting any bugs you encunter. Could we have an update without CP Donation Bonus? This is a tradition we cannot just let go. 200% CP Donation will be activated for 2 weeks, on Myth Reseller (Egy), SuperRewards (Global), & MaxiGame (Turkish). Creddy Online Staff isnt responsible for scamming issues! Creddy Online Staff will not give extra information about ban issues.Do not PM us to revert your ban. Post subject: Re: Creddy Online PVP-Z 130 Cap / 14 Degree Update! u will make and pc limit only 3 and immortal for 1b?? 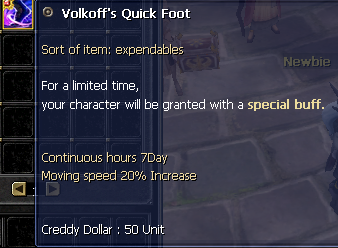 think for it volkoff its so low---and waht about adv9 for creddy dollars/? I really dont think you need more than 3 chars for anything. 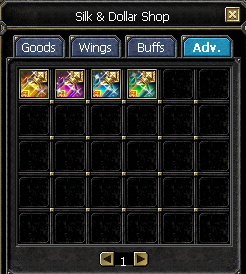 Let gold be valuable at least. The dollar advs will be 8.
ok if i have only 1 pc and i open 2 char botting and 1 of my own char iwill get 4b in a day=4 immortal well?? 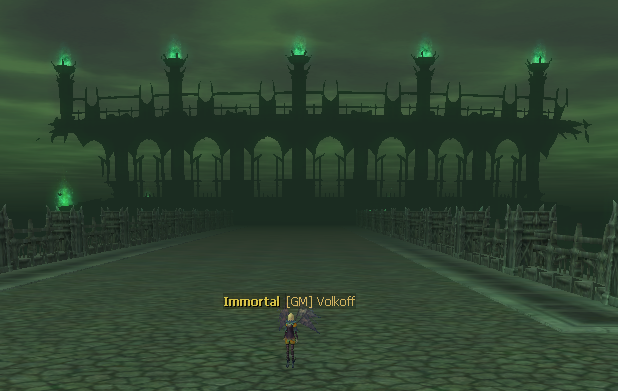 4 immortal i cant do any thing with only 4 immortal per day at least make it for 250m like creddy Reborn? 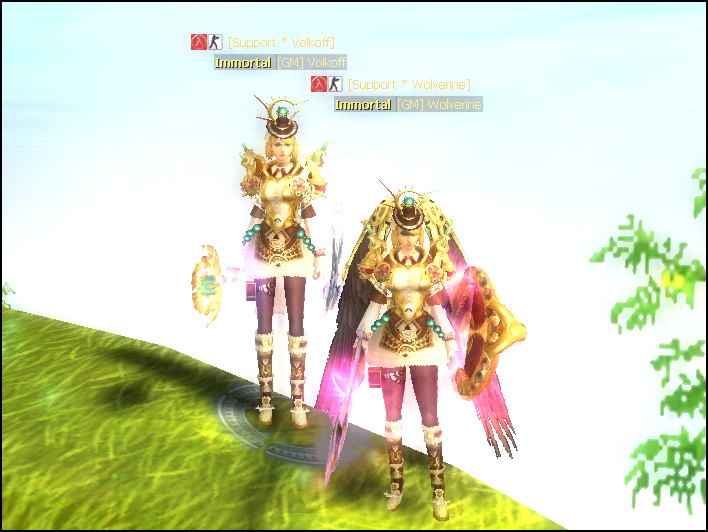 ?,, well there is some players have adv9 how we get adv9 if there is no gamble or we cant get it from creddy dollars?? It will not, dont worry. May i tell u that..Game is going to depend essentially on CP Donation,Gold Wont be Valuable,,,most of Players are not happy with Update due to Huge Cp needed for Upgrade...CP Events Deleted! Most Of (Z) Players depend on S-bot for collecting Gold to buy immortal! i know that S-bot had been making Server Lag,However there is another solution if you increased the Server capacity to 2000,it wont be problems of Lag and Traffic. and what about immortal D14 with Gold or Dollars? So Now ..U Deleted S-bot and CP Events! Yesterday...40% of players were talking about leaving! I will answer for volkoff on it, how can he increase server capacity if players doesn’t makes donations, only donates when there bonuses. He lose more money then gain for make server better. You still can use sbot, but not with 1000 chars. Okay i agree with u! 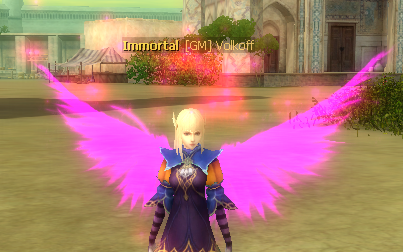 But on the other side the Price of immortal is 1B how with 3 chars to gain 3-5 immortal a day?! But u answered for one point of my post?! Volkoff Told Before we are going to Make Donators and non Donators Equal! How now and Game will be essentially depend on Cp ,Even Cp events Deleted?